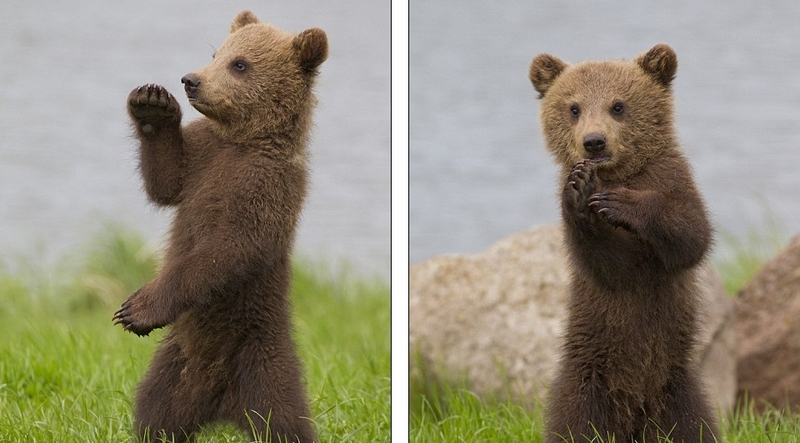 A gorgeous baby brown bear has been photographed doing the robot dance in a Swedish national wildlife reserve. 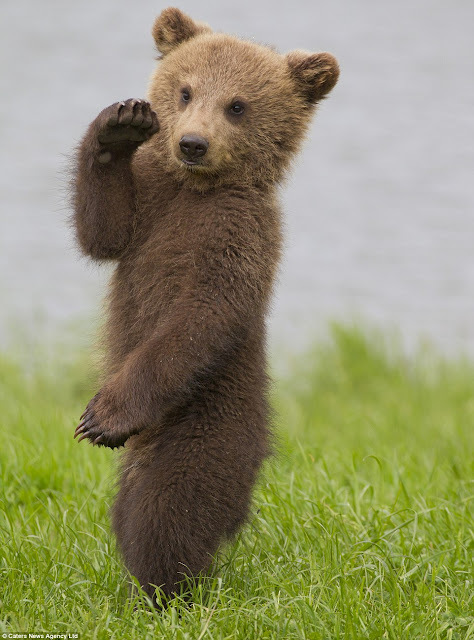 The groovy cub was caught on camera by semi-professional photographer Sven-Erik Arndt, 39, while on holiday in Sweden with his son. Sven-Erik, from Lübeck in Northern Germany, often goes to Sweden to photograph the European bears. He said: 'Since I could walk, I showed a great interest in the Scandinavian fauna and flora. 'I now travel worldwide but prefer colder regions such as the Alps, Canada and the Arctic. 'But my favourite country is Sweden and I have visited this country nearly a hundred times. 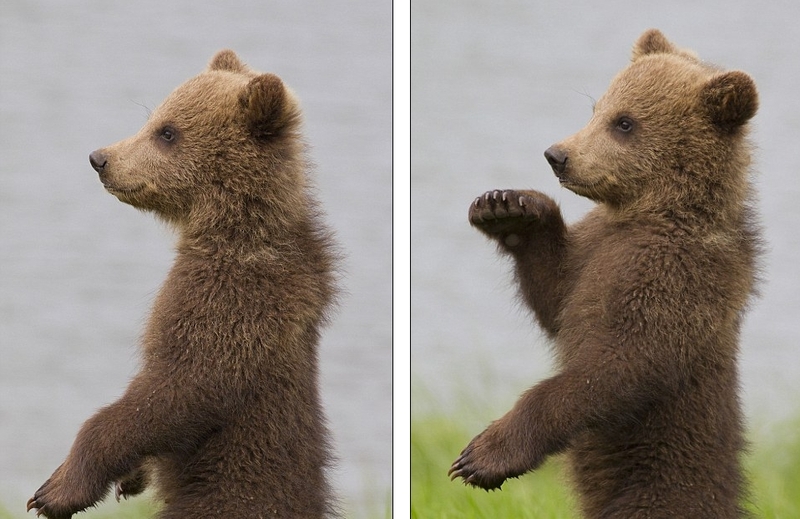 Although I spent a lot of time with the bears, you can´t plan these photos. I had to wait and take the pictures in the right moment,' he said. 'The mother had chased away another bear when I took these shots so the cubs were nosy and stood up to have a look around. 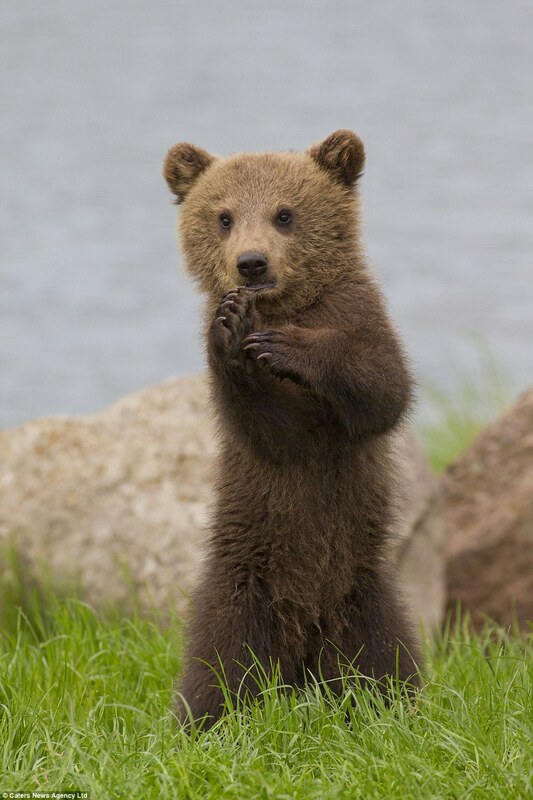 'Although the mother isn't in the photos, she was always around the cubs. 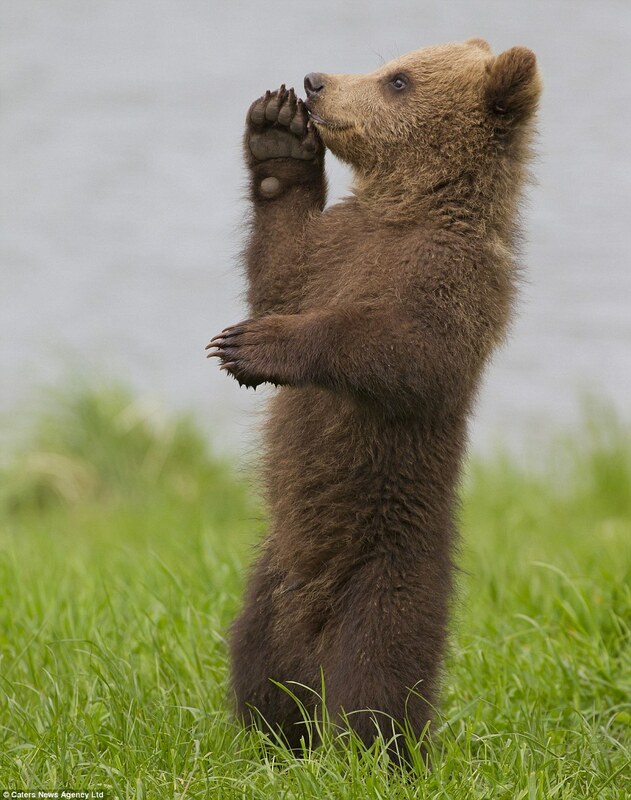 'I was very happy when I saw my photos, because I got some nice pictures of the cubs playing. 'I don't know if I'll ever capture a moment like this again. There are a lot of animal parks in Europe with brown bears, but in these photos it is wonderful to see how the cubs are playing and catching with the mother and their siblings. 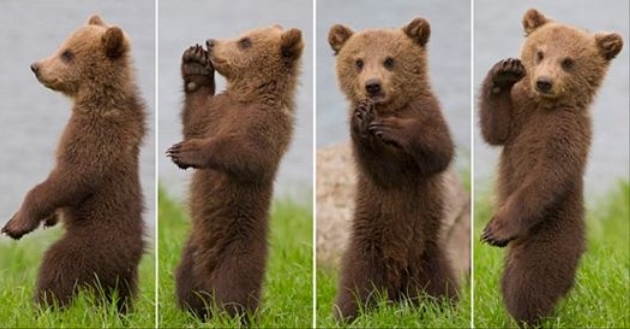 Responses to "Baby Bear Performs a Spontaneous Dance Routine in Wild Sweden"